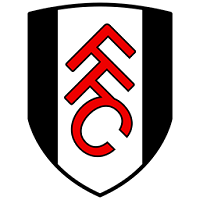 Fulham host Derby in the second leg of their Championship Playoff tie on Monday 14 May. 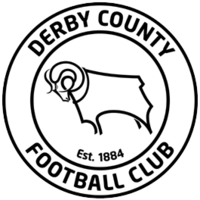 Read the match predictions to find out why Fulham is the football betting tip to beat Derby at Craven Cottage. Fulham manager Slavisa Jokanovic will have been disappointed with a number of players who were not at their best in the 1-0 first leg defeat at Pride Park on Friday and may change the starting lineup in an effort to revive the team performance. The squad has a clean bill of health and Floyd Ayite could be recalled to the lineup in place of Chelsea loanee Lucas Piazon who failed to make an impact in the first leg. Aleksandar Mitrovic has scored 12 in 18 appearances since arriving on loan from Newcastle in January and could be the key to Fulham’s chances of overcoming the one-goal deficit. Derby full back Marcus Olsson missed the first leg with a knee injury and may not be fit in time for the trip to Fulham. Gary Rowett can call on Ikechi Anya in the wing back role leaving him to decide between Andreas Weimann, who filled in on Friday, and leading scorer Matej Vydra to play behind Cameron Jerome. Fulham’s slip in the first leg was their second successive defeat after losing 3-1 at Birmingham on the final day of the regular season. Jokanovic will be hoping his players can return to normal business when they bring Derby back to Craven Cottage. Fulham have won 12 of their last 14 home games and five of the last seven wins have been by the desired margin of two goals or more. Derby have now gone four games unbeaten but three of those were at home, to Cardiff (3-0), Barnsley (4-1) and Fulham. They drew 1-1 at Aston Villa in that sequence and have only won one (Preston 1-0) of the last nine away games. Compare match odds for Fulham vs Derby. Select from the drop down menu to compare odds for Both Teams To Score, Over/Under and Half Time/Full Time markets. Get the best odds for Fulham vs Derby and improve your betting results. Open a new account with online bookmakers and get free bets. Bet on Fulham vs Derby and receive a free bet or get a free bet on Fulham vs Derby.